Samsung confirmed earlier this year that it was going to release a refurbished variant of the Galaxy Note 7. It has millions of units gathering dust in warehouses because Samsung had to discontinue and recall the Galaxy Note 7 due to a battery defect. So why is the Galaxy Note 7 making a comeback? Releasing a refurbished variant is one of the ways that Samsung will contain the environmental fallout from the recall. Instead of having to trash or recycle parts and components for all of those handsets, it can put them in circulation once again. The company is also going to make money off of this, but that’s beside the point. The Galaxy Note Fan Edition was officially announced earlier this week. Samsung is going to sell it in South Korea initially starting tomorrow for roughly $610. Let’s take a look at all that’s new with the Galaxy Note Fan Edition. The battery was what caused the Galaxy Note 7’s downfall, so that’s the first major change that Samsung has made to this handset. Gone is the faulty 3,500mAh battery of the original Galaxy Note 7. The Galaxy Note FE features a smaller 3,200mAh battery. It’s a safer option as it has gone through Samsung’s new 8-point battery safety test that the company came up with after the Galaxy Note 7 fiasco last year. Sure, customers will get slightly less battery capacity, but I think that’s a reasonable ask for the assurance of safety. The Galaxy Note 7 had a Qualcomm Snapdragon 820 processor which has four custom-made Kryo cores divided into clusters of two. The high-performance cluster is clocked at 2.15GHz whereas the power efficiency cluster is clocked at 1.6GHz. Samsung has opted to put the Qualcomm Snapdragon 821 processor inside the Galaxy Note FE. It has the same arrangement of Kryo cores, but the clusters are clocked at 2.4GHz and 2.0GHz respectively. This results in a 10 percent performance improvement compared to the predecessor. 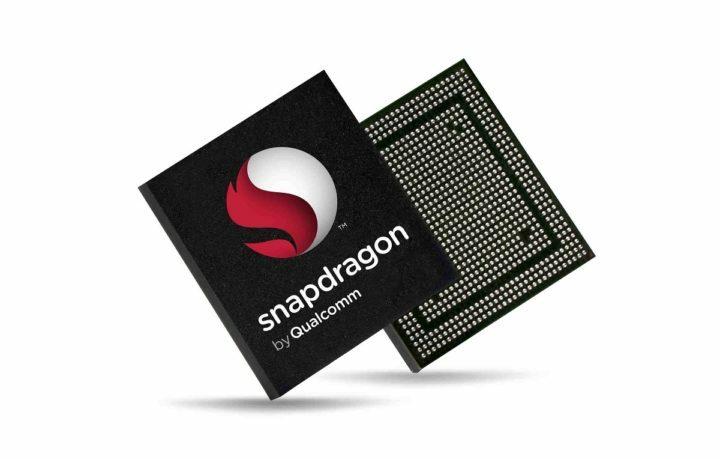 Both the Snapdragon 820 and 821 have the same Adreno 540 graphics processor, but it offers a 5 percent gain in performance for the latter as it runs at 653MHz instead of 624MHz. Qualcomm has also said that the Snapdragon 821 is 5 percent more battery efficient than the previous chip. Update: As it turns out, the Galaxy Note FE has the same Exynos 8890 processor as the original Galaxy Note 7, so there will be no noticable improvement on the performance front. Yes, appearance, and not design. That’s because Samsung hasn’t made any changes to the design at all. It still looks and feels like the Galaxy Note 7 from last year. Subtle changes have been made to the appearance of the Galaxy Note FE, though. The Galaxy Note FE is the first smartphone after the Galaxy S8 and Galaxy S8+ to not feature a Samsung logo underneath the earpiece, outside of Japan and South Korea. 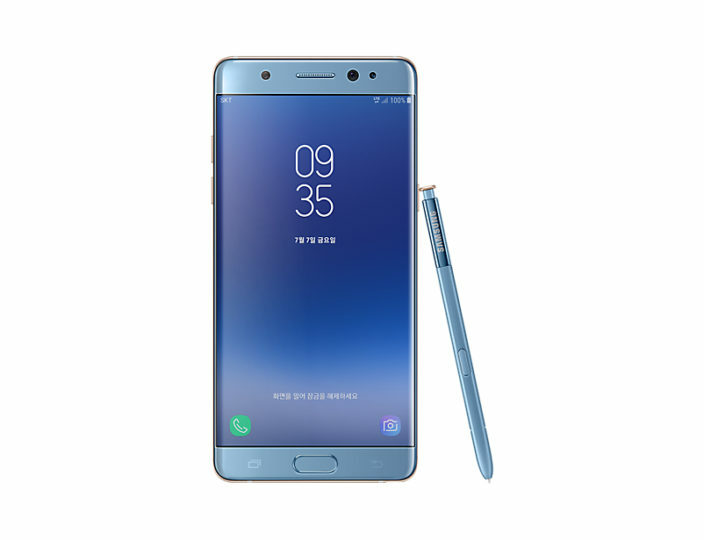 The handset also carries the “Galaxy Note FE” branding on the bottom at the back to make it clear that this is a refurbished Galaxy Note 7. The Galaxy Note FE runs Android Nougat, but don’t expect to find the same user interface that we saw with the Galaxy Note 7 last year. 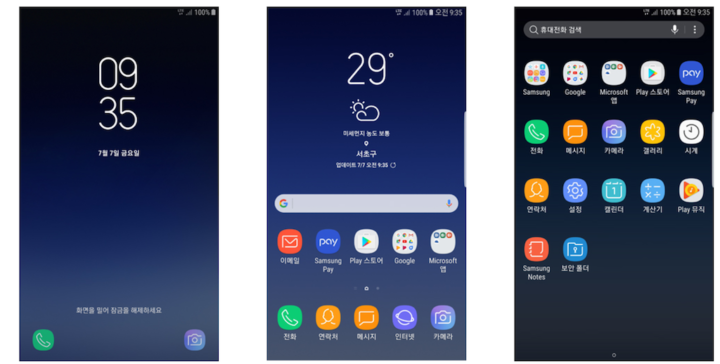 The company is shipping it with the latest version of Samsung Experience which is what it calls its user interface now. This version debuted with the Galaxy S8 earlier this year and is also making its way to budget devices like the Galaxy J5 (2017). The Galaxy Note FE is also borrowing one of the Galaxy S8’s biggest features: Bixby. It doesn’t have a hardware button just for Bixby like the Galaxy S8, but it’s not like users are going to need it that much. You see, Samsung isn’t bringing over the full Bixby experience to the Galaxy Note FE. The handset only gets Bixby Home and Reminders, not the assistant’s voice capabilities. 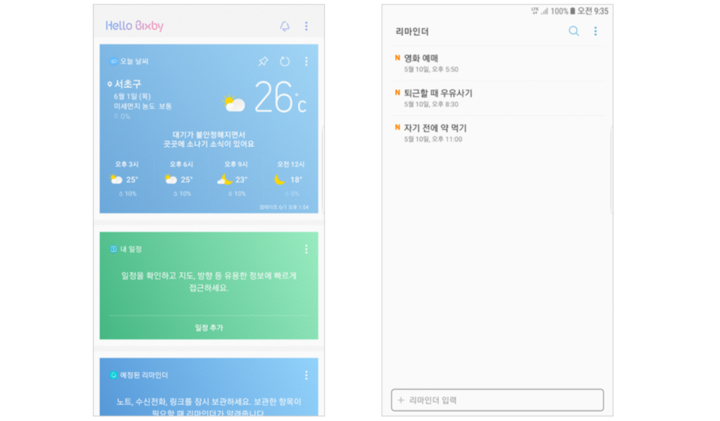 So basically, Galaxy Note FE owners will have the same Bixby experience like Galaxy S8 owners outside South Korea have had so far. This is all that’s new with the Galaxy Note FE. It’s a good way for Samsung to get 400,000 units of the ill-fated flagship back into circulation once again. While it has only confirmed pricing and availability at this point in time, it’s possible that Samsung might release the Galaxy Note FE in other select markets at some point in the future. Note: Some factual errors pointed out by the readers have been fixed. Can I flash the Note FE firmware onto a Note 7 ? You need to get your facts straight: The Korean Galaxy Note 7 never had a front logo to begin with. Nor did the Korean Galaxy S7 or the Galaxy S7 Edge. And for that matter some of the Chinese models also went without front logos. This isn’t a new thing at all.